Erin is a Sydenham personal trainer. 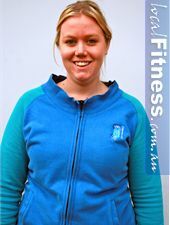 Erin is a Sydenham personal trainer and member motivator here at Fernwood Sydenham. Inspired by her own development as a member, Erin kicked off her weight-loss journey by losing 20kg with the help of a trainer and Sydenham Nutrition Slim coach. After experiencing the transformation and journey herself, Erin decided to get on the other side and help others achieve the same results. Erin loves to continue to learn more and more about health and fitness. As a child she used to play netball and basketball and is now building on her fitness knowledge which includes boxing, circuit, cross training and taking bootcamps. She enjoys being a taks-master, motivating her clients to push themselves beyond what they could imagine. I have a very vocal and motivating training style. My approach in program design is very imaginative and I am always thinking of different ways to do things and trying to keep up with the latest research and innovative training methods. My sessions incorporate strength training, cardio boxing and a various other techniques to increase fitness. You have weight-loss goals and want to train with someone who has been through the journey herself. You want to be challenged with something new every week. You want to combine exercise with nutrition and healthy eating advice. Silvija is a Sydenham personal trainer. Silvija has been very sport and health oriented all her life. She started playing in indoor soccer tournaments from the age of 13 and also training in jiu jitsu for 1 year. She used to be overweight when she was younger and has overcome losing more than 30kg since then. The key for her was changing her dietary habits and being more active in regular exercise. 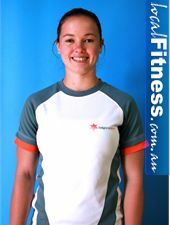 She has been a member at Fernwood Sydenham and has now worked her way up to being a personal trainer and group fitness instructor. She loves to help people in their weight-loss journey because she knows what they are going through and can relate to them, having been through the process and achieved long lasting changes herself. I begin my training with a proper assessment of goals, injuries & trainability to determine what clients want to achieve and map out a plan on how to do it. I write specific programs designed according to their needs and goals. My sessions focus on strength training for women, and include boxing exercises, compound exercises, bodyweight exercises such as burpies, static lunges, power jumps and more. I follow up each session with a proper cool down stretch and complimentary massage. You want a trainer who has been through the weight-loss journey. You want to incorporate power and combat training to add variety and increase your pump. You want to be motivated and inspired by a passionate trainer. 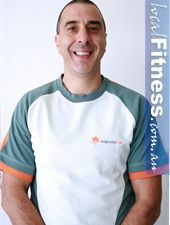 Merian is a Sydenham personal trainer. 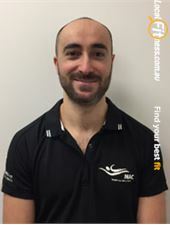 Merian is our Club coordinator and is a professional fitness trainer. Merian specialises in all areas of health and fitness including strength and core training, group fitness classes, boxing, bootcamps and body composition analysis. Merian has presented at various organisational events including corporate events, school programs and local sporting clubs. She also does voluntary work for Nutrition Australia. 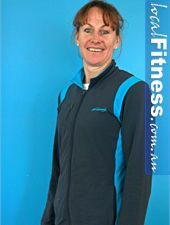 Merian has been featured in fitness magazines and has written fitness articles in local newspapers - her sporting background including martial arts, running and swimming. She has great empathy and motivation for clients wishing to lose weight and make significant changes to their physical condition. Being a mother of two children, she understands the importance in balancing family, lifestyle and healthy living. Her desire to help her clients achieve goals makes her an invaluable Fernwood Sydenham team member. I believe the body must be strengthened through weight-training to achieve optimal results. I also focus on core strength and muscle balancing to align the posture and alleviate injury. You are looking to lose weight, gain strength, improve your fitness and look great! You want to improve your self-esteem and confidence. You are looking for a greater motivator and inspirer who will help you acheve your goals. Jenny is a Sydenham personal trainer. 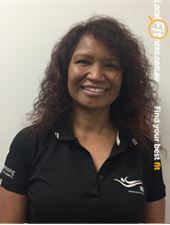 Jenny has been in the fitness industry for the past 8 years, starting at Fernwood Tullamarine and now also working out of Fernwood Sydenham and Fernwood Cairnlea. 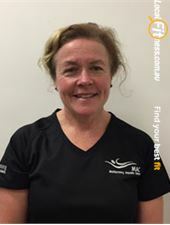 Jenny completed her qualifications at Kangan Batman Tafe and has also completed complimentary courses such as Swiss ball, Bodybalance, cardio boxing and courses in older adult training. Learning new things is something she is very passionate about and continues to learn more things everyday. Jenny loves to be involved in special events that occur at Fernwood such as boot camps and challenges. 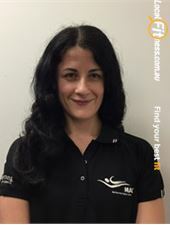 She loves being a personal trainer in Sydenham and loves to see people strive and work to get their results; being part of it is something she values. My sessions focus on passing on all the wonderful things I learn everyday about fitness. I like to incorporate core and stability exercises using Swiss ball and cardio boxing for fun and variety. I also work a lot with older adults designing programs according to their needs. My focus is more on getting them fit for daily health and to help them improving daily functionality to alleviate injuries while improving their quality of life. You are older and need to improve your fitness for health. You are a female and need to tone and shape your body. You need flexibility, strength and a complete body workout. Krista is a Melton personal trainer. Krista has been involved in basketball, netball and lawn bowls all her life. She is currently a junior coach in CHFL Netball and was selected for the local bowls club. 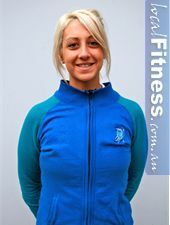 She began her course in 2008 at the University of Ballarat and began working for a gym in Melton. She is currently involved in kick boxing and instructs aqua and cardio boxing. My training is very versatile. I incorporate my knowledge of cardio boxing and kickboxing techniques with my netball training (plyometrics) to get optimal results. In kickboxing every part of the human body is being worked and that's exactly what I try to instill in my training. Total overall body workouts. You need a sports specific program to achieve your goals in your chosen sports. You want to learn the art of kickboxing/boxing. You want to be pushed to the extreme to develop your fitness. 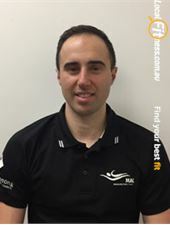 Adam is a Melton personal trainer. 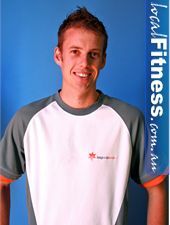 Adam studied out of the Australian Institute of Fitness in May 2006. He has been involved in all types of sports since a very young age - ranging from rugby, to beach volleyball, basketball, softball and fighting. His latest endeavours include surfing and hip-hop dancing. 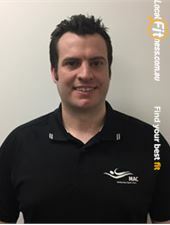 Adam's background also includes joining the Australian Army in 2006, completing all infantry training & qualifying as an Australian Rifleman. He served overseas and earnt the Australian service medal. He is currently posted to the Victorian Reserve Battalion. Training in all forms has become a lifestyle he has grown into and now it has flourished as a career. My influences are from my time in the Australian Army which brings to my training a do or die sense of attitude, where there is always one more thing you can do and never give up. You need entry level training for a service you want to perform in. You know no boundaries, you want to be pushed beyond exhaustion and collapse until you achieve your objective. You lack the motivation to take control of your life, see your dreams and achieve them. 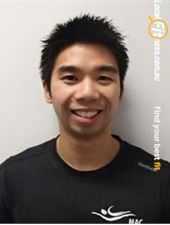 Sheriden is a Melton personal trainer. Sheriden has been involved in the fitness industry for more than 20 years. She completed her fitness tafe course in Ballarat and has worked in gyms locally ever since. She recently renewed her personal training qualifications after she took some time off being a mother and raising her children. Her passion is running and regularly trains to run marathons. Her passion is making sure her clients understand the importance being healthy and having a strong mind and strong body. Have drawn on my running experience, running half and full marathons so I can help improve running skills by strengthening the whole body to support running training. I suffer from rheumatoid arthritis therefore know how to strengthen the body and increase flexibility to ensure the body stays strong and active. You want to increase flexability through yoga. You are looking to build and support your body function for running. You are looking to improve your muscular endurance for sports.